You have all the equipment for stand up paddling: stand up board, paddle, personal floatation device, proper clothing, leash, sunscreen, good looking gal to watch you paddle the conditions . . . but do you have a Stand Up Paddling needlepoint flask for when the waves have sent you running for dry land? 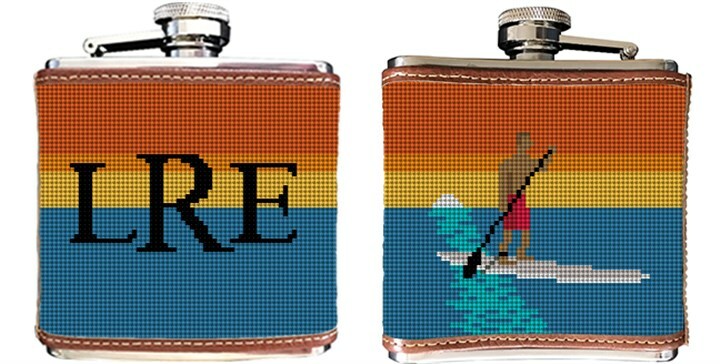 Our Stand Up Paddling needlepoint flask makes a great gift idea for any paddler or someone who loves outdoor adventure.